Every summer I get together with my brother and his children and now that also includes their children too (my grand nieces and nephews - sheesh that makes me sound old!)! This year my nephew and his wife welcomed a new baby to the family so that meant it was time to update their family portrait to include what is quite possibly the happiest baby I've ever met! Meet Rowdy, Kristin, Liliana and their new family member, Brady! I'd love to talk with you about your family portraits, contact me for a no-obligation consultation. Tracy Allard of Penny Whistle Photography is a Certified Professional Photographer with the organization Professional Photographers of America; a designation held by fewer than 2,500 photographers nationwide and a hallmark of consistency, technical skill, artistry and professionalism. 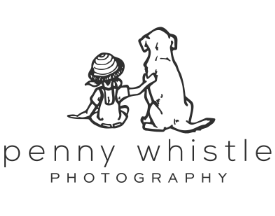 Penny Whistle specializes in both natural light and studio photography providing pet, couple and engagement, family and high school senior portraits as well as corporate headshots and commercial photography in her studio located in old town Carrollton as well as out on location in Coppell and surrounding communities in Dallas – Fort Worth, Texas. Let's talk about your family portraits!